For most of us 2008 was a year of great difficulty. The economy was a major issue for everyone from wholesalers to retailers. Bryant Park was a perfect example of this. Sales we good but not as good as usual. Traffic was down but the average sale was double! Tourism was way off but the New Yorkers came through! Returning customer who came to replenish and review all the new items made it well worth the effort of maintaining the shop. 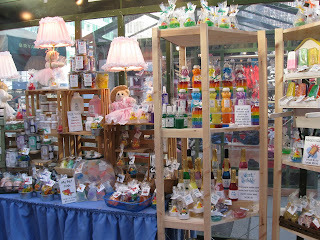 For those who did come to the shop at Bryant Park a sneak preview of all the 2009 goodies were there for the taking. 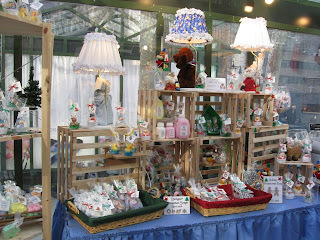 If you look verrrrrryyyyy close at the pictures of the shop in Bryant Park you can see some of the newest additions that will be available online and at the trade shows in '09! We are on to 2009 and positive vibes abound. So many new things will be coming this year. New items will be constantly added to our website. 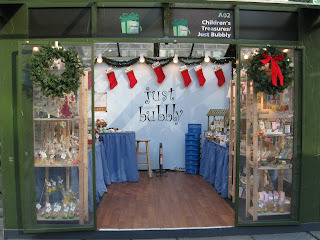 Keep checking to be the first to see and buy them at Just Bubbly. I don't make New Years resolutions but I did resolve to post to this blog more often so that I can keep everyone up to date on all the happenings here on the shores of Rockaway Beach.